When bad weather prevents practice from taking place outside on the diamond, these MacGregor® Super Soft Indoor Training Balls let you move your baseball or softball drills inside. Perfect for players of any age, these balls have a soft design that takes the intimidation out of line drives and fastballs, so your future all-stars can focus on making the play without the fear of injury. 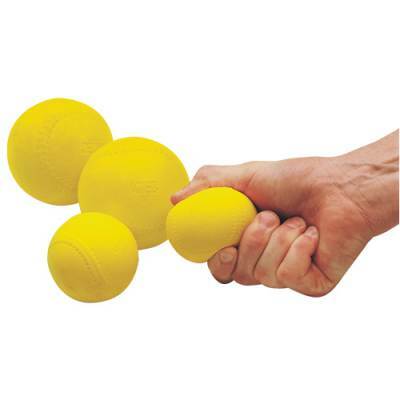 While teaching sluggers important batting techniques and instructing pitchers on how to paint the corners, the authentic size of these balls will help players prepare for the real thing as soon as the rain clears.